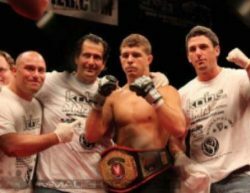 Coach Eric Hyer from Longo-Weidman MMA has been with the team and around combat sports since the beginning. 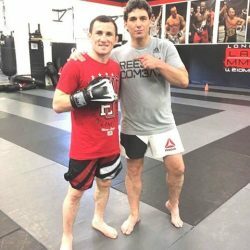 Starting in 1992 as a student of the legendary Ray Longo in an auto detail garage, Hyer has been a pioneer of the striking style that so many of the LAW MMA fighters have learned and mastered. “Me and Ray started out in East Coast Detail, I was just starting out trying to make it as a kickboxer and when I went out to Arizona State for college he recommended me to the Fairtex Academy,” said Hyer. A few fights later, Hyer ended up in Thailand, competing amongst some of the best in Muay Thai. He recalled, “I was a live-in fighter at the academy in Thailand and at 19 years old I turned pro. I I still have some of the scars from my fights over there from the brutal elbows that those guys deliver!” Hyer had an excellent run in Asia, beating some of the most respected fighters in the East. 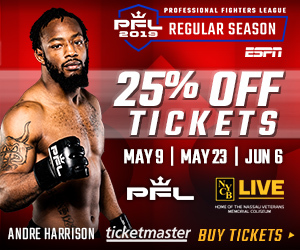 Now, Eric Hyer is focused on developing the next generation of fighters from LAW MMA. 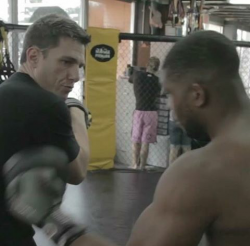 “We have a hot crop of fighters coming out of our team. Dylan Mantello, Dennis Buzukja, Charlie Campbell and a ton of other guys are going to be studs in the future. 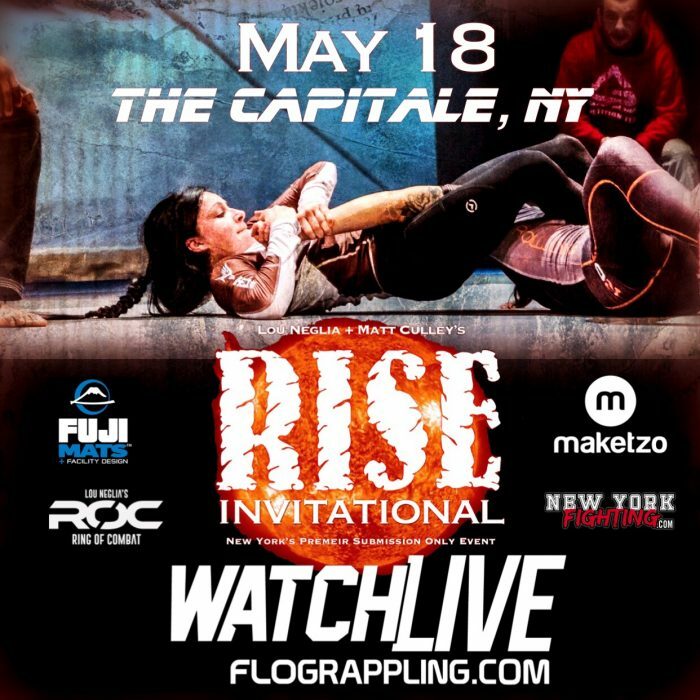 Campbell and Mantello both won at Triton Fights recently, so they have started off on the right foot.” The future is bright for the Serra Longo Fight Team with these young, hungry fighters leading the way. 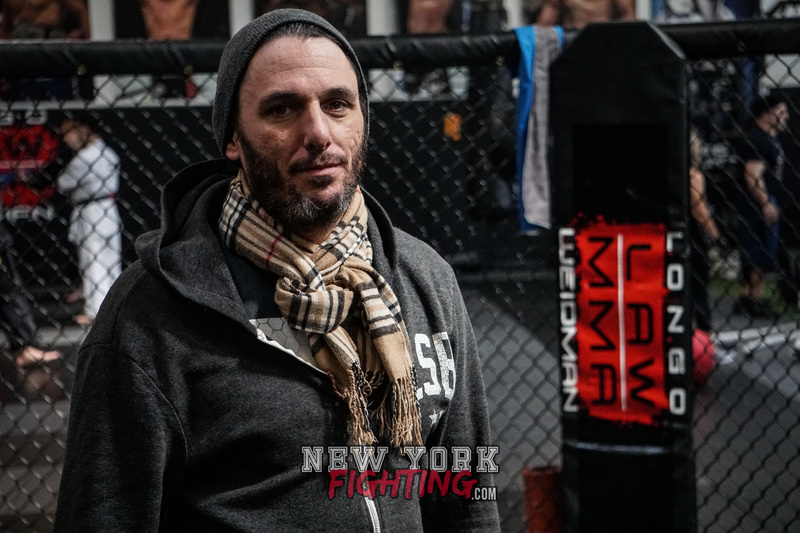 New York Fighting would like to thank Coach Eric Hyer for taking the time to talk with us and LAW MMA for allowing us to use the gym to conduct the interview.